Maybe you've heard about the age old debate between direct response copywriters: what’s better, the long sales letter or the short sales letter? The landing page is the new sales letter, and the debate continues. What’s more, the long landing page or the short landing page? I know this is a cop-out answer (and it always felt like a cop-out answer to me every time I read this same answer on one of the many blog posts by some of the industry’s best copywriters). The effectiveness of a long landing page and or a short landing page depends on various factors. In her article for Copyblogger The Harpoon or the Net: What’s the Right Copy Approach for Your Prospects?, Sonia Simone refers to long copy as the harpoon. The harpoon analogy conjures up the image of a fish that you have to capture right now, or you’ll miss your chance. You have only one opportunity to catch that fish, and get it into your boat. With long sales copy, or with a long sales page, you have attracted a prospect to your page via a pay-per-click ad, a social media link, or by somebody who forwarded one of your emails to a friend. You've never met this person before, and this is the first time this person has ever come across your company, your website, or your products. You have one chance of convincing that person to buy, or you’ll lose them…forever. In his eBook The Brain Audit, marketer Sean D’Souza talks about the eight elements your sales copy must have in order to convince them to buy right now. 1. The Problem. D’Souza is such a great marketer because he focuses on the psychological reasons why people buy. One of his biggest discoveries is that, psychologically, buyers are convinced to take action not because of something that interests them or excites the, but because they have a problem and they’re looking for a solution to that problem. They have some acute pain, and they need some relieve for that pain. Long sales copy works best when you’re trying to convince somebody who has an urgent problem that they need to resolve right now. This urgent problem, like a horrible toothache, is so painful that the prospect is willing to read through a 20 page sales letter (or landing page) to find a way to relieve the pain. 2. The Solution. After you address the problem in your sales copy, and you let your long-suffering prospect know that you understand their pain, then, and only then, can you present the solution. The solution is your product or service. But you don’t talk about your product or service from your point of view. Describe your product or service as a solution to your prospects’ pain. 3. The Profile. How do you know what kind of pain your prospect is suffering from? How do you know what words to use to describe that pain? How can you talk to your prospects as if you were their long-lost friend? For that, you have to nail down their profile, or their persona. Knowing their profile intimately helps you understand what type of pain they could be facing, and helps you to understand the language they use, their life situation, whether they’re a soccer mom or a plumber or the CEO of a company whose stock price is going down the tubes. 4. The Trigger. Once you know the details of your prospects’ profile, then you can come up with the trigger. The trigger is your key to standing out in the crowd, and getting your prospects to take notice. It’s the keywords that can cut through the noise, and tell your prospects that you are talking directly to them. In a sea of thousands of messages that your prospects see each day, what will make them pay attention to your message? It’s those all-important trigger words. 5. The Objections. Another aspect of long sales copy and long landing pages is that they’re typically deployed to sell more expensive items. If your prospect is in a lot of pain, they’re more willing to spend money that is beyond the “impulse buy” threshold. The “impulse buy” threshold is different for many people, but for me it’s about $40 (for you it might be $100 or even $200). When you’re asking people to spend more money than they would normally spend without having to think about it, you have to overcome their objections. What if it doesn’t work? What if it’s not worth the $299 I’m about to spend on it? What if I can find a cheaper solution somewhere else? These are the famous sales killers that can keep your customers from buying from you. You need to answer your prospects’ objections in your long landing page if you want to make the sale. But your testimonials need to be believable. They can’t all be birthday cakes and rainbows. That’s a red flag to your prospects. Testimonials that are too positive look suspicious. Instead, D’Souza says to have testimonials that are believable. For example: “I was skeptical at first, but then I tried it out and I changed my mind,” or something like that. 7. The Risk-Reversal. 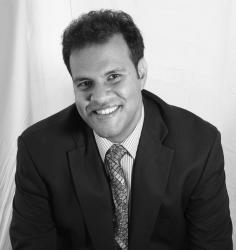 Another way to answer your prospects’ objections is by providing a risk-reversal. This is like a guarantee, but it’s more than a guarantee. It has to communicate, as convincingly as possible, that your customers have an “out” if they’re not 100% satisfied. Your customers need to know that if they get cold-feet and decide to back out of the deal, you will take care of them. Can you offer them a full refund plus a little bit more for their troubles? Can you give them 30 days to try out your product and return it if they don’t like it, no questions asked? 8. The Uniqueness. Finally, what makes you unique? If you’re selling a high-priced online marketing course, what differentiates you from the thousands of other marketing gurus who are selling expensive online marketing courses? Again, this goes back to the customer profile in point 3 above: you can only be unique to a particular target audience; you can’t be unique to everybody. And your uniqueness comes from your particular personality, knowledge, intellectual property and focus. 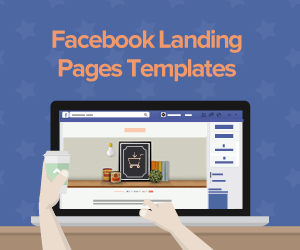 Having all these elements on your long landing pages is a tall order. You need to combine text, graphics, headlines, sub-headlines, bullet points and video in order to engage all your prospects’ senses into your long landing page. For another perspective on long copy vs. short copy, check out this article by American Writers & Artists, Inc. The opposite of the harpoon is the net. The net conjures up the image of a patient fisherman who throws his net into the ocean, and after a few hours his net is full of fish. Simone equates the net to your content marketing efforts. By sharing valuable, free content over time, you convince your prospects that you’re the expert. You gain their trust. Little by little you convince them that you can solve their problems. Eventually, you build up an expectation that you will offer your prospects something of value to buy. 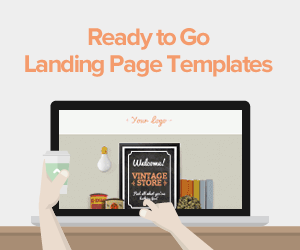 In this case, you don’t need a long landing page. All of your blog posts, eBooks, videos and newsletter content has served as soft sell sales copy. The hard job of convincing people has already been achieved by your useful content over a period of months (or even years). Dave Navarro over at The Launch Coach blog, has a great case study about short sales letters (short landing page). Navarro cites the example of internet marketer Laura Roeder’s Twitter Webinar sales page. What were the reasons for the short sales page (which was really just a short landing page)? She doesn't need to convince people she’s an expert. Because of all the free content she has shared on her blog, and in her newsletter, her subscribers already know about Roeder and what a social media expert she is. She has a robust online presence. Her prospects can Google her or look her up on social media. She has nothing to hide. If anybody has any objections all their questions can be answered with a simple search. Too much information can sometimes kill the sale. Remember the part about answering objections I mentioned above? When you leave out the details, you give your prospects less reasons to object to your product or service. Roeder said if her prospects did have questions, they could always email her. 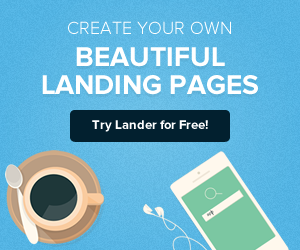 So how can you build a successful short landing page? Have a clear headline. You must have a benefit-oriented headline that grabs your prospects’ attention and lets them know exactly what they’re there for. Short copy with graphic or video. Explain, in 2-3 sentences or 2-3 bullet points, what you’re offering, with a hero shot (happy family enjoying the product, example of the product, or an image of somebody like your prospect). Or use a video to explain what you’re offering. Call to action. Provide your prospects with a buy button or a sign-up form right underneath the brief copy or the video. A word of caution: as with anything on the internet, since feedback is almost immediate, and it’s so easy to change things, you should always be testing. 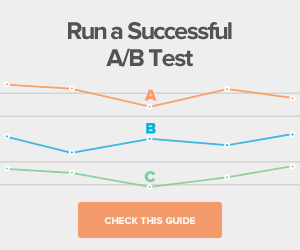 Test long vs. short, test different elements on your short landing page and on your long landing page. You should test until you find the right configuration for your particular offer. Conclusion: What’s Better, Long or Short Landing Pages? Lately many experiments have been proving that short landing pages are actually more effective than long landing pages. Laja has four examples where short landing pages beat out long landing pages. But does that mean that short landing pages are always better than long landing pages? Not necessarily. As mentioned above, you should test everything you do – and be open to the possibility that the conventional wisdom is wrong.